Photo Credit Gold Wasser gold / Gold water gold image by Nazar Chabara from Fotolia.com. Much has been written or said about colloidal silver’s powerful antibiotic, antiviral, and anti-fungal properties. But do you know about colloidal gold? 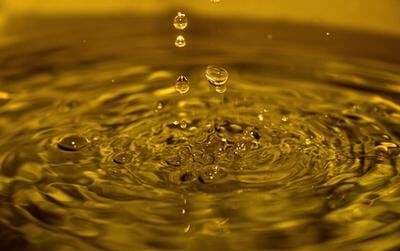 It is produced the same way as colloidal silver to create nano-particles of gold that are assimilated into a body’s cells. But for what purpose? Keep reading to discover which health benefits colloidal gold can provide for you. Unlike colloidal silver, colloidal gold is not considered an antiseptic. 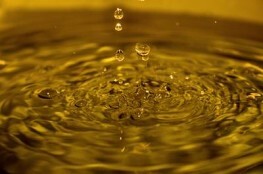 Instead, nano-particles of gold offer protection against auto-immune disease and cancer rather than infectious disease. In recent times, a large array of autoimmune diseases, mostly neurological, have risen dramatically. Interestingly, many were almost unheard of until vaccination schedules increased dramatically with added industrial toxic overload. Cancer has also increased as a result of our increasingly toxic environment that includes EMF (electromagnetic frequency), nuclear radiation, and agricultural chemical pollutions. So you see, germs are no longer the main problem now. We’re dealing with a lot of toxic enemies that may need to be from our technological progress that came at the high cost of decreased health and autoimmune diseases because profits were more important than negative health consequences. This is where the real value of gold can help. Colloidal gold has anti-inflammatory powers to alleviate pain and swelling among those with arthritis and bursitis. It has also shown promise for rejuvenating glandular systems to provide anti-aging, higher IQ, and pineal gland enhancing possibilities. It has also been known to be effective for easing the pains and swellings of arthritis, rheumatism, bursitis, and tendonitis. Gold has been used historically to treat digestive disorders, circulatory problems, depression, obesity, and burns. It is a catalyst for endorphin-like hormones as well as the mitochondrial antioxidant enzyme superoxide-dismutase (SOD). Lately, nano-particle gold has even demonstrated anti-tumor/cancer activity. The easiest way to take advantage of gold’s health provisions is via tasteless and non-toxic colloidal gold. It can be taken the same way you would take colloidal silver, ingesting orally, sublingually, or nebulizing into the lungs. Many who use colloidal gold as a tonic report an improved feeling of well being and increased mental clarity and focus. Brain dysfunctions such as mental fog and forgetfulness. NaturalNews reports that research has shown IQ is boosted with colloidal gold. Hot flashes, including those from hormonal imbalances. Arthritis and any other joint inflammations. Depression, both chronic and SAD (seasonal affective disorder). Hypertension, high blood pressure, and muscle tension. Lowered libido and/or sexual dysfunction.